The palladium activator is perfect for currentless nickel-plating of copper, brass and other non-ferrous heavy metals. The object is covered with a wafer-thin palladium layer by the activator. It's not before then that you can nickel-plate copper and brass with the currentless nickel bath. Pure copper wouldn't react at all, for example. 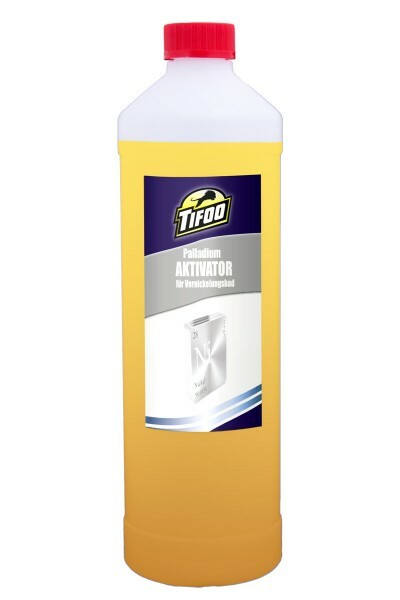 The palladium activator is also needed for activating silver surfaces for gilding with Tifoo Gold-Star. 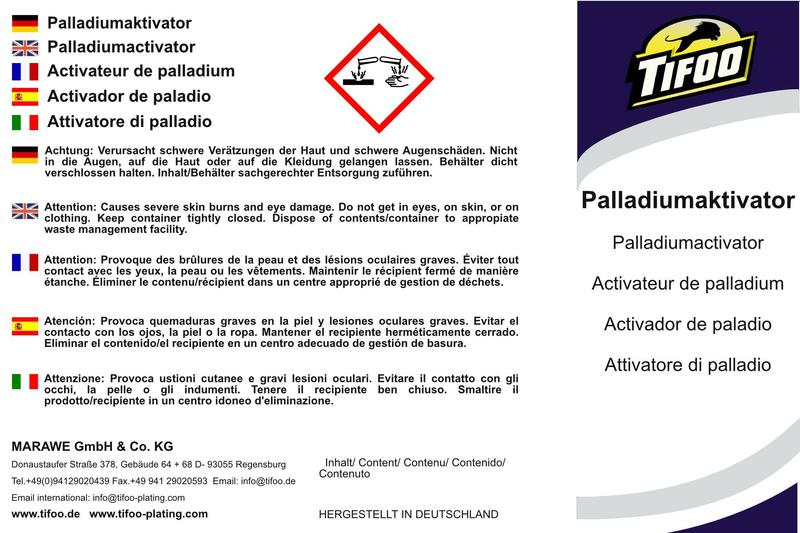 You can download a detailed instruction manual for the palladium activator on our homepage. Related links to "Palladium activator"
Instruction manual for Tifoo Palladium activator as PDF file. Customer evaluation for "Palladium activator"